Posted Sep. 28 by Global Marine Networks Categories GMN Blog, Tech Support Tags: Iridium, Iridium GO! Iridium GO! has a new firmware update available (1.4.1) and what better time to learn how to update your Iridium GO! than to take the opportunity to do it together. The following steps should be used to upgrade an Iridium GO! from version 1.0.66 or later. Open web browser using latest version of either Chrome, Firefox or IE11 o Enter 192.168.0.1 in the address bar and press enter. Click on upgrade, and wait until the progress/status bar reaches 100% completion. This should take approximately 10-15 minutes. NOTE: While firmware upgrade is in progress, do not navigate away from this page. Step 7: Check Firmware Version on Iridium GO! Need To Use a Laptop Or Computer With Your Iridium GO!? Did you know that XGate is an Iridium-certified solution for Iridium GO! and it works on laptops, computers, and smartphones and tablets? Get your email and weather all in one place (and post to social media while you’re at it). 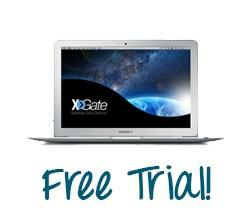 Added bonus: XGate doesn’t lock you in to only using satellite airtime – a potentially big money saver!